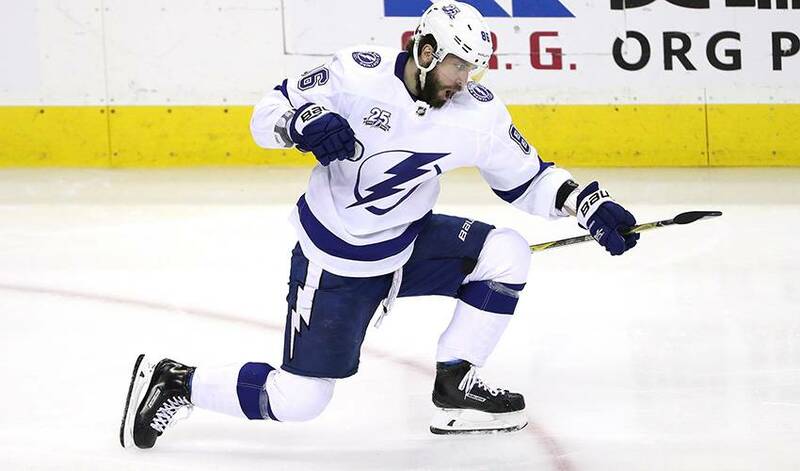 TAMPA, Fla. — The Tampa Bay Lightning have signed forward Nikita Kucherov to an eight-year contract extension worth an average of $9.5 million in salary and annual bonuses. The team announced the deal Tuesday. The 25-year-old would have been a restricted free agent next summer with one year left on a deal that will pay him nearly $4.8 million for the 2018-19 season. Now he is set to stay with the Lightning through the 2026-27 season. The two-time All-Star had 39 goals and 100 points with a plus-15 rating last season. That was third in the NHL in points, sixth in assists and tied for ninth in goals. He averaged 19:49 in ice time to lead all forwards for the Lightning, who lost in Game 7 of the Eastern Conference finals.